Featured Image: Churchill with his bodyguard Inspector Thompson leaving the garden door at the rear of Number Ten, 18 September 1940. This is one of the venues pictured, but the book would be enhanced by vintage photos with the protagonist in the picture. Leslie Hossack. Charting Churchill: An Architectural Biography of Sir Winston Churchill. Blurb, 2017, 162 pages, $190.39. Available online. 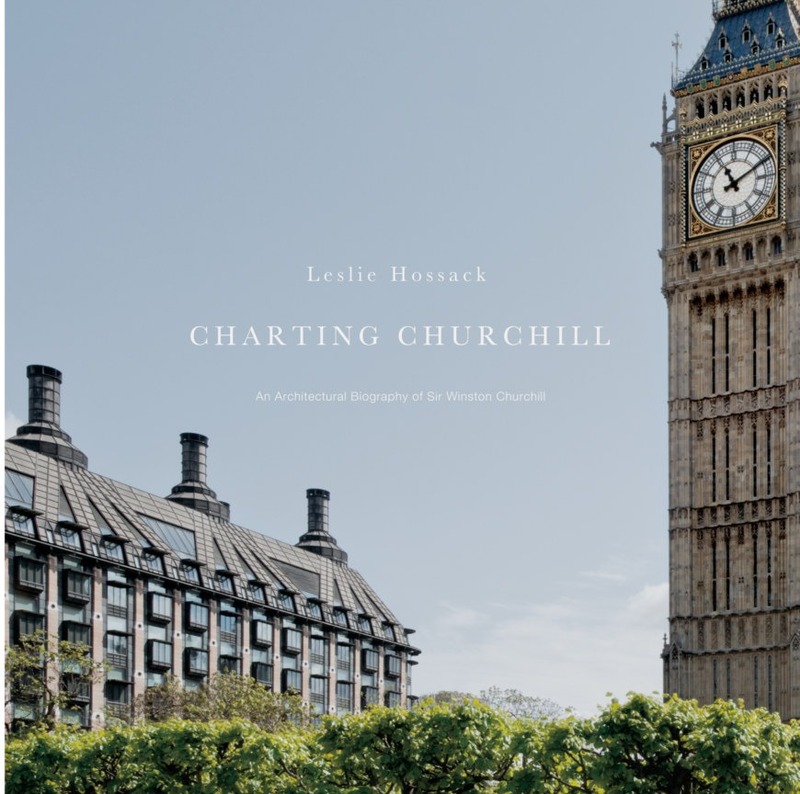 Canadian photographer Leslie Hossack presents a lavish collection of sixty photographs of sites and buildings in or around London linked to Churchill’s personal and political life. Hossack states that this architectural biography of color images, taken in 2014 and each accompanied by an original descriptive essay, provides new insights into Churchill’s complex character and times. Her method is to blend fine art with documentary photography, removing people from the photos to enhance their timeless quality. Her previous works include architectural studies of Vancouver, Jerusalem, Kosovo, Moscow, and Berlin, with a theme of urban change and continuity in contested spaces. A gallery of her works can be viewed online. 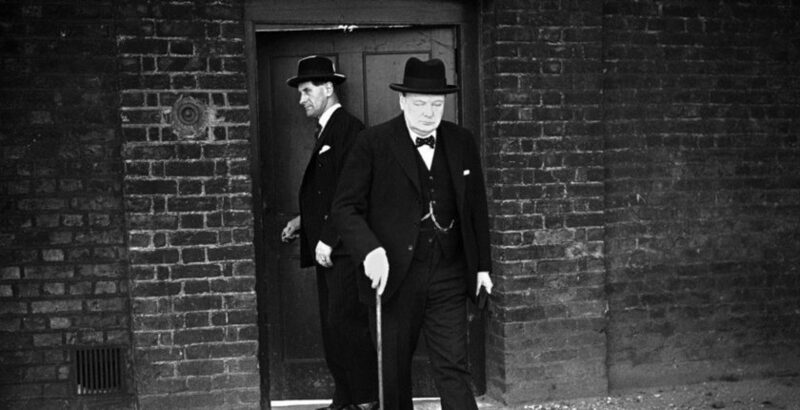 Hossack is not the first to interpret Churchill’s life in photographs, a well-trod field. Notable photo documentaries of the past include Mary Soames’s A Churchill Family Album (1982), Martin Gilbert’s Churchill: A Photographic Portrait (1993), Barry Singer’s Churchill Style: The Art of Being Winston Churchill (2012), and Allison Carlson The Man Within: Winston Churchill An Intimate Portrait (2015). But Hossack is the first to tell Churchill’s story strictly through architecture. Observing that history is recorded in books, she believes it is also found in the buildings that witnessed events. Churchill, she writes, was “constantly moving in and out of some of the world’s most iconic structures.” Three in particular were important. The first was his birthplace at Blenheim Palace in Oxford, the “physical touchstone” that shaped him. The second was the House of Commons. The third was his Kent estate, Chartwell, the center of his family life for over four decades. Charting Churchill has six parts, including text and quotes. The foreword is by Churchill bibliographer Ronald I. Cohen, followed by an essay by the British High Commissioner to Canada, Howard Drake. Hossack herself is interviewed by Anja Caspary. There is a chronology of the buildings, endnotes, a bibliography, a list of exhibitions, and an index. One of the best features are the color maps of London and surrounding areas, pinpointing building locations relative to each other. Part 1, “The Early Years, 1874-1892,” begins with Blenheim, a world heritage site, designed and built in 1705-22 by “Capability” Brown. We also see 29 St. James’ Place, London, where young Winston and his family lived in 1880-1882; and 2 Connaught Place, where they lived in 1882-1892. Churchill attended several schools, notably Harrow, pictured here, where he developed a lifelong interest in Shakespeare as well as military and communications technology. Part 4, “The Wilderness Years 1929-1939,” recounts Churchill as a Member of Parliament with no government office. We see the Royal Albert Hall, Kensington, where he spoke on sixteen occasions 1911-59; Morpeth Mansions, his London address in the 1930s; Chartwell again, where he wrote his biography of Marlborough; and Westminster Abbey, where he attended the Coronation of King George VI in 1937. Part 5, “The War Years 1939-1945,” features the Cabinet War Rooms including the room where he broadcast on the BBC. Picturing Downing Street, Hossack cites his memory of 10 May 1940: “I was conscious of a profound sense of relief. At last I had the authority to give directions over the whole scene.” Also included are the Bletchley Park decoding center and Buckingham Palace, where Churchill joined the King and Queen on V-E Day, 1945. Part 6, “The Later Years 1945-1965,” returns to Chartwell and depicts his postwar London residence, 28 Hyde Park Gate. We visit Westminster Hall and, again, Parliament, where he made his last political speech on 4 April 1955: “Never flinch, never worry, never despair.” At Westminster Hall ten years later, his coffin lay in state before the funeral at St. Paul’s Cathedral and burial at St. Martin’s Churchyard, Bladon, a mile from Blenheim. 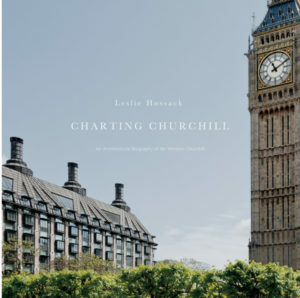 Charting Churchill is an innovative look at London sites by a talented photographer, who adds her own perspective to these many familiar places. While it is a nice addition to the serious Churchill collection, the prohibitive price will inhibit sales. There are also several errors of fact. Churchill left for military service in France in November 1915, not November 1916, and the coronation of Queen Elizabeth II took place on 2 June 1953, not 1952. I have one criticism of this otherwise beautifully executed documentary: it is somewhat lacking in emphasis of the buildings’ importance in the Churchill story. Hossack gives primacy of place to her fine photographs, with the foreground image an empty stage, and the building the backdrop. But there is no historical context, except in the text. This could have been relieved by small contemporary photos from Churchill’s era. Without them the protagonist never arrives, which may leave the reader feeling like one with backstage passes to a hit show without hope of meeting the star attraction. Mr. Shepherd is Associate Archivist of The Catholic University of America, and is the creator and principal writer for The Archivist’s Nook. He is also a frequent contributor to America’s Civil War and Military History magazines. Author Hossack kindly provided a review copy with the understanding that it would be donated to the Hillsdale College Library.